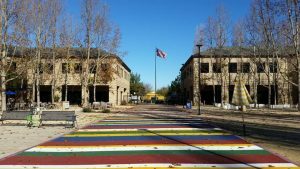 Proceedings for the 5th RISC-V Workshop, hosted at Google’s Quad campus in Mountain View, California on November 29-30, 2016 are now available with links to the slide presentations and videos shown in the Agenda below. The goals of the workshop are to bring the RISC-V community together to share information about recent activity in the various RISC-V projects underway around the globe, and build consensus on the future evolution of the instruction set. Please be sure to join us for the 6th RISC-V Workshop hosted by NVIDIA and Shanghai Jiao Yong University in Shanghai China, May 9th-10th, 2017. Hope to see you at the next workshop!